Where they are grown, genetically modified (GM) crops are linked to massive increases in herbicide use, the expansion of mono-cultural farming practices, and increased costs all along the food chain. The resulting social, environmental and economic impacts are severe – contributing to small farmers losing their land and livelihoods, and failing to alleviate hunger. But who decides whether GM-crops can be grown in Europe, and how are they authorised? The European Commission is about to revive talks to approve 25 new GM-crops for cultivation in Europe – including crops resistant to the herbicide RoundUp and insecticide-producing crops. These include varieties of GM maize, soybean and sugar beet. This means opening Europe’s doors to an expansion of GM-crop cultivation, and a repetition of the mistakes made in North and South America presented in this website. At the forefront are four herbicide-tolerant maize types as well as one soybean which are currently under discussion by national government representatives; leading to a possible vote. The outcome of the votes will govern whether the European Commission decides to authorise their cultivation in Europe. For 15 years European countries have blocked the European Commission from allowing any more than two GM-crops (one GM maize and one GM potato) to be grown on Europe’s fields. 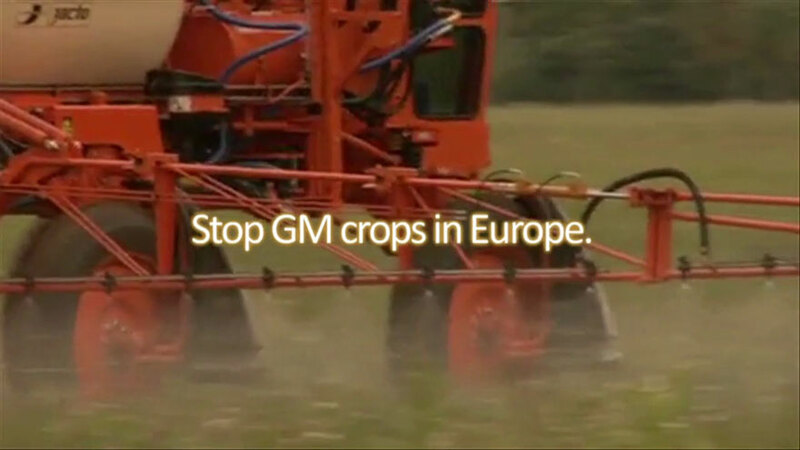 Now, a clear message from countries is needed to block the approval of future GM-crops. The decision itself will happen behind closed doors, in an opaque procedure. After European authorities on food and safety present their opinions to representatives of European countries, the vote can happen within weeks. The current procedures restrict any open discussion, and there will be little public or political debate about these major decisions. This is why it’s so important that citizens ensure their voice is heard. Now the Vermont Senat decides, if it will approve the changes of the Senat. The law is supposed to enter into force in mid 2016. Vermont is the first US state that decided independently from neighbour states about GM labelling. Lobby groups as US grocery manufactures are opposing any mandatory labelling of GM food. Continue reading >> "US State Vermont willing to start GM labelling of GM food"
Italian ministers of Agriculture, Public Health and Environment have finally signed a joint decree banning the cultivation of the genetically modified maize MON810. This is the result of a broad rejection to GM crops among public opinion and institutions all around the country. Italy is the eighth European country to approve a MON810 ban. Continue reading >> "Italian ministers sign the decree to ban MON810 maize"
Report: Roundup and birth defects – is the public being kept in the dark? The pesticide industry and EU regulators have known since the 1980s and 90s that Roundup, the world's best selling herbicide, causes birth defects – but have failed to inform the public. This report, co-authored by international scientists and researchers, reveals that the GM-industry’s own studies (including research commissioned by Monsanto) showed that Roundup’s active ingredient glyphosate causes birth defects in laboratory animals. Continue reading >> "Report: Roundup and birth defects – is the public being kept in the dark?" The report from Corporate Europe Observatory (CEO) and Earth Open Source questions the independence of the European Food Safety Authority. The report explains how EFSA works, what science is used, how conflicts of interest occur, and how industry influences the agency’s work. The report aims to contribute to the debate on what changes are needed in the interest of food safety, public health and the environment. Continue reading >> "Report: Conflicts on the menu"
In March 2012 two glufosinate-tolerante maize types (technical names Bt11 from Syngenta and 1507 from Pioneer) were presented for authorisation to national representatives. In September 2012 a RoundupReady soybean (technical name 40-3-2 from Monsanto) was discussed amongst national representatives.